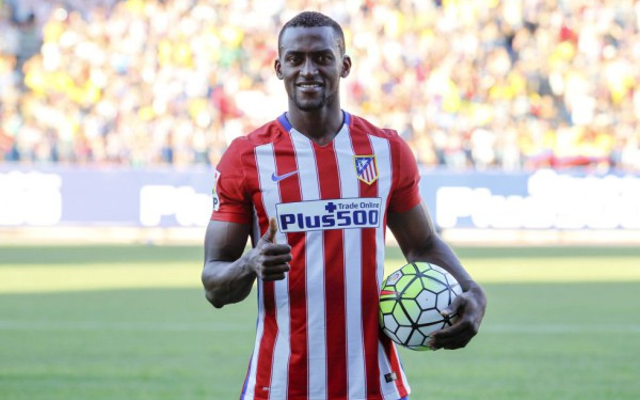 Arsene Wenger is looking to make a couple of signings this January in order to strengthen his side’s title push, and Jackson Martinez is apparently a target once again, according to French publication Le 10 Sport. Arsenal were reportedly close to signing the Colombian hit-man last summer (via the Metro), but were pipped at the post by Atletico Madrid who forked out the £25m fee Porto were demanding (via Sky Sports). Martinez has struggled in La Liga however, and is now consequently linked with Arsenal once again. It looks like anything but smooth sailing for the Gunners however, as Le 10 Sport’s report suggests they are facing heavy competition for the 29-year-old’s signature from Chelsea. New Blues boss Guus Hiddink has been looking to bolster his attacking options after taking the reigns from Jose Mourinho, although with Diego Costa coming into form under the new manager that may change. Martinez was excellent during his time in Portugal, and was courted by a huge number of teams before his switch to La Liga. He hasn’t been able to replicate his form this season though, and now looks set to move on. If Atletico really are looking to move him on, then he could be available at a knock down price. This would no doubt appeal to Arsene Wenger, who is notorious for his love of a bargain. Arsenal are somewhat lacking in options up front at the moment, with Olivier Giroud their only real out and out centre forward. Theo Walcott and Danny Welbeck are able to do a job, but Arsenal fans will want to see a more established striker arrive in January if possible.